The menu is one of your most important sales and advertising tools as a restaurant owner. 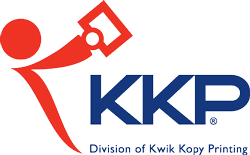 The terrific designers at Kwik Kopy Halifax will produce a menu from scratch or work with existing designs. 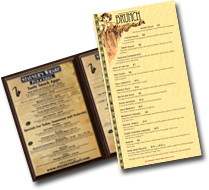 From high-class dinner restaurants to the corner café, Kwik Kopy Halifax will create and print your perfect menus. And, of course, we won't print your menu until you decide it's perfect. Please provide additional information about your menu project below.